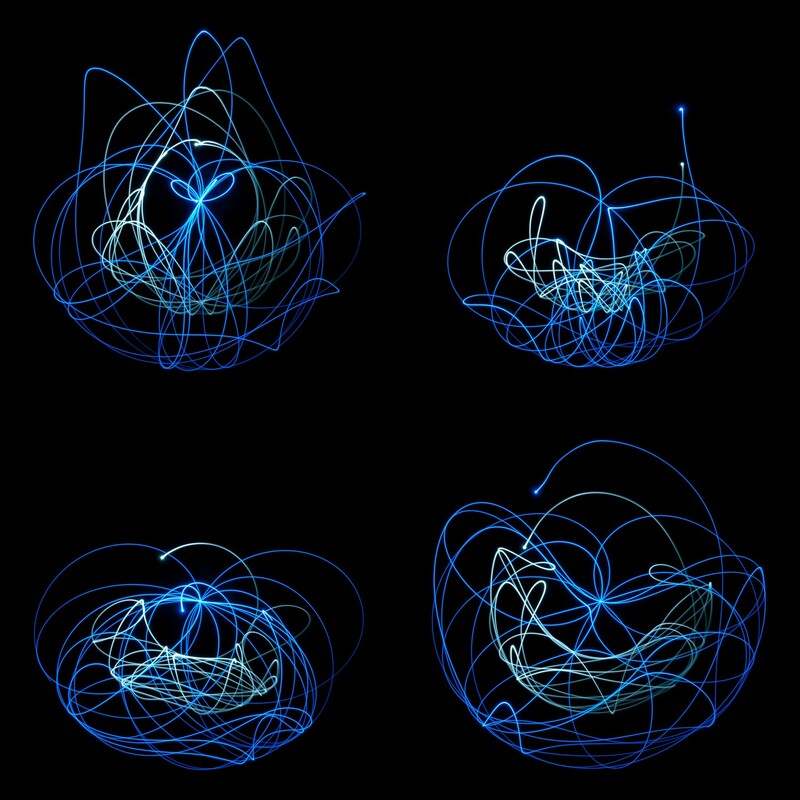 These four photographs show the chaotic dynamical behavior of a double pendulum. Two lights mounted on the outer pendulum arm become visible as light streaks during long exposures. Different velocities along the trajectory are visible through varying light intensities. In our research, we focus on computational analysis and optimal control methods for complex dynamical systems, such as this double pendulum.